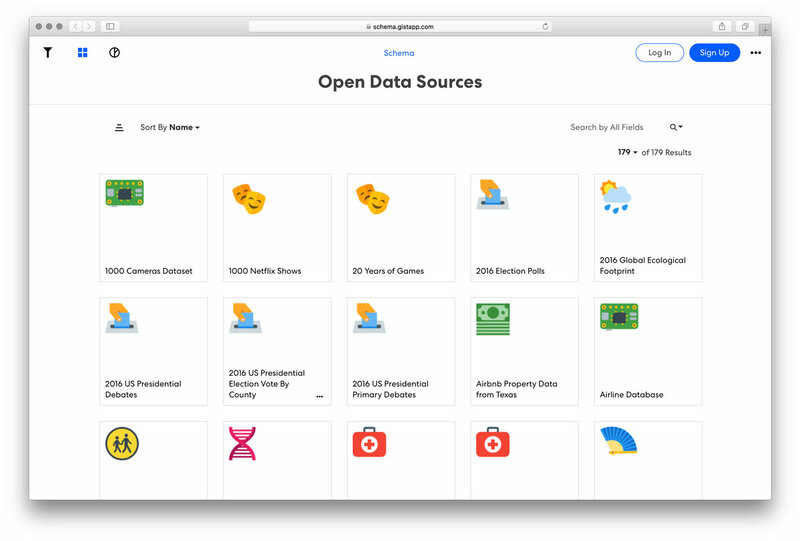 Open data up to the public. 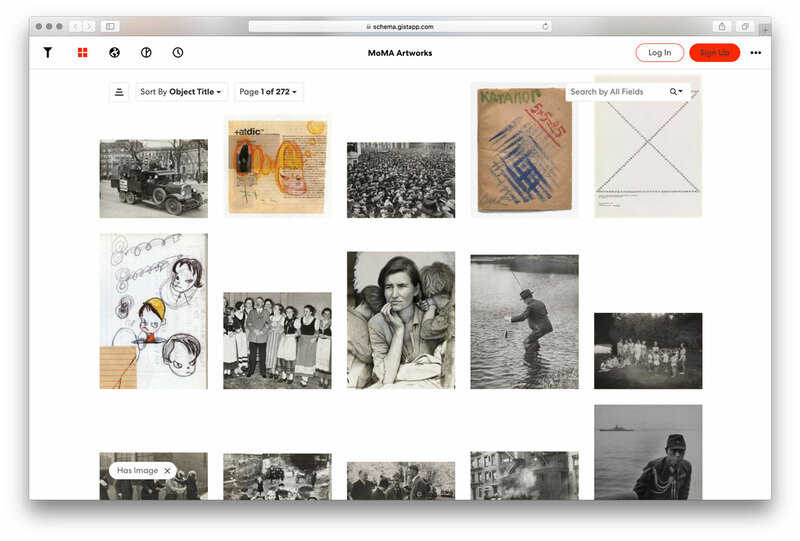 Let anyone explore datasets and digital collections through simple, beautiful web applications. 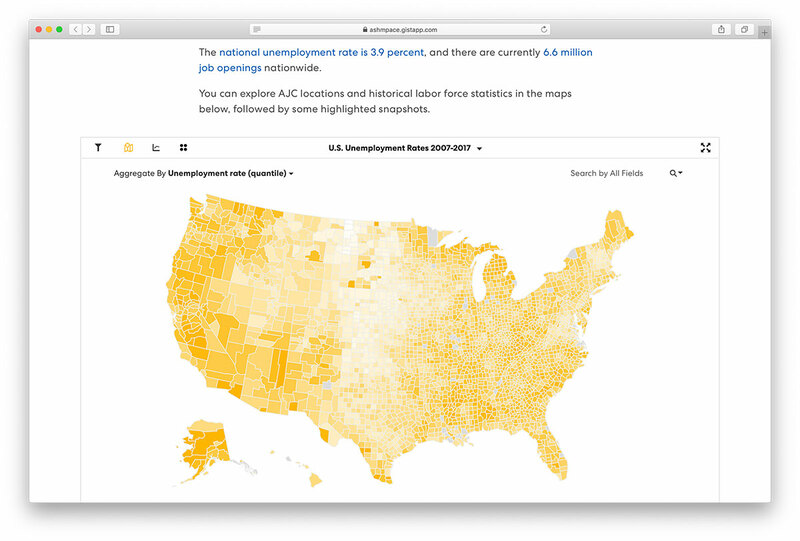 There are millions of open and civic datasets available. But until now, insights have been locked away in files. 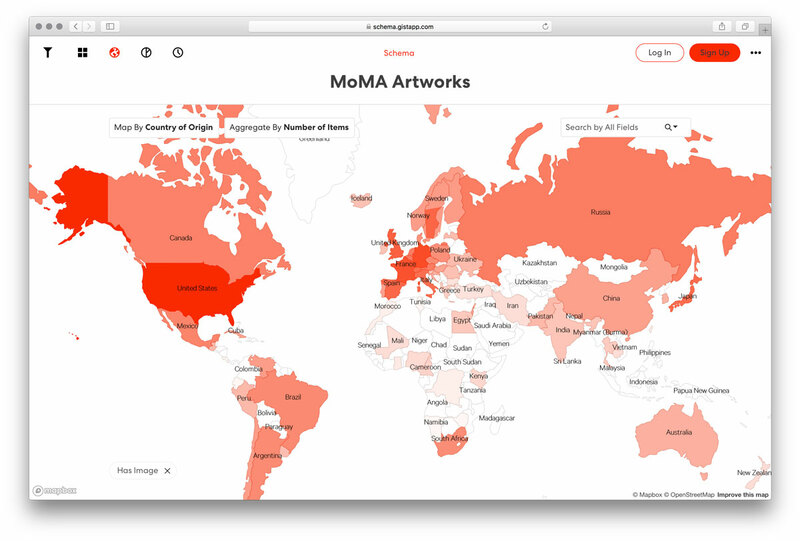 Many cultural collections are hard to access behind search-based interfaces. 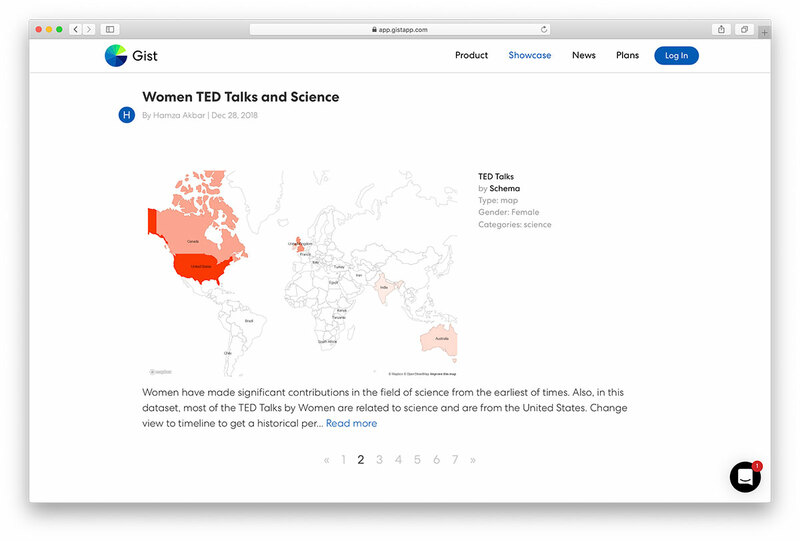 Make any data easily accessible through fluid, exploratory visualizations. 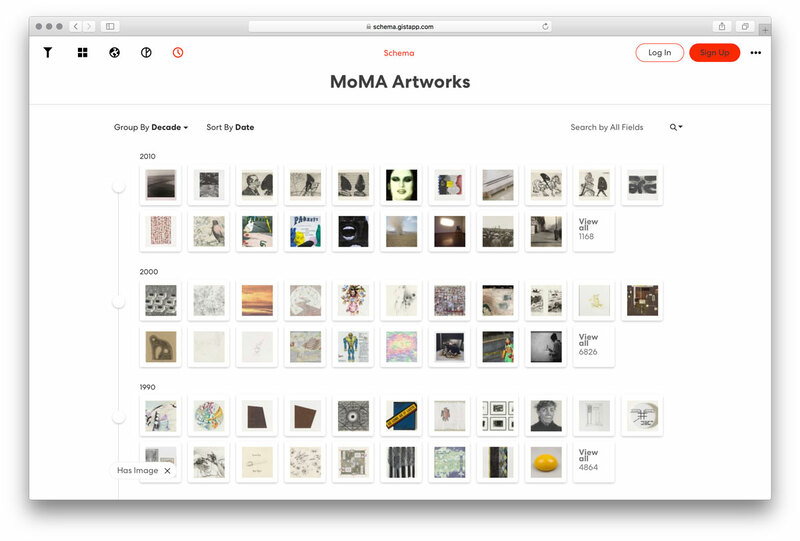 Instantly turn your collection database into beautiful, browsable web experiences that can be searched, sorted, grouped and filtered. Show images and videos. 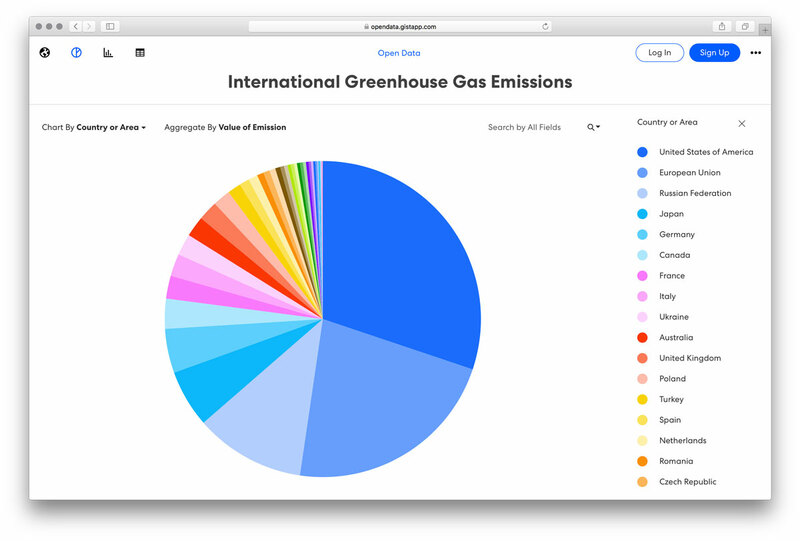 Add charts, timelines and maps to group data by category, time or geography. 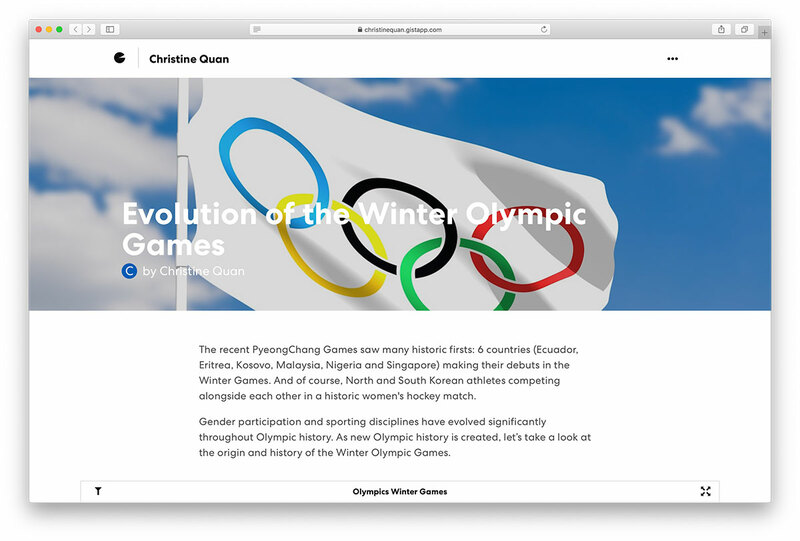 Explore content fluidly and visually that was previously hidden or difficult to access. 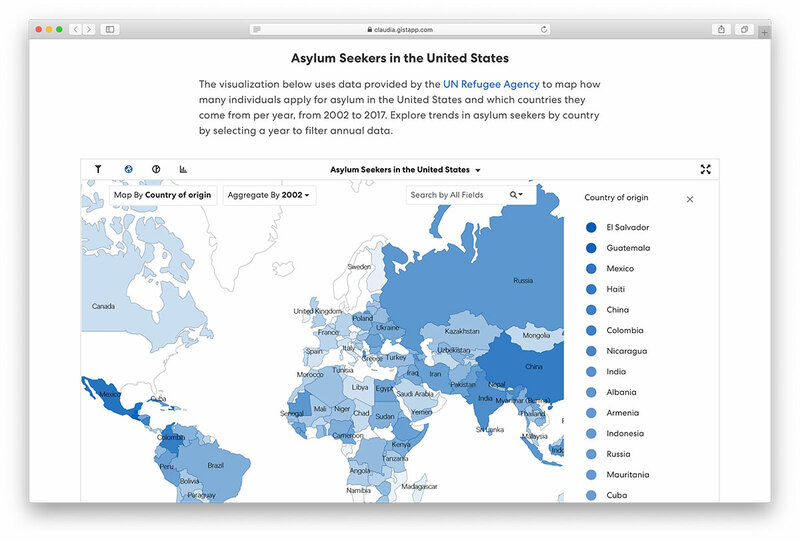 Create a narrative or essay, supplemented by interactive data visualizations. 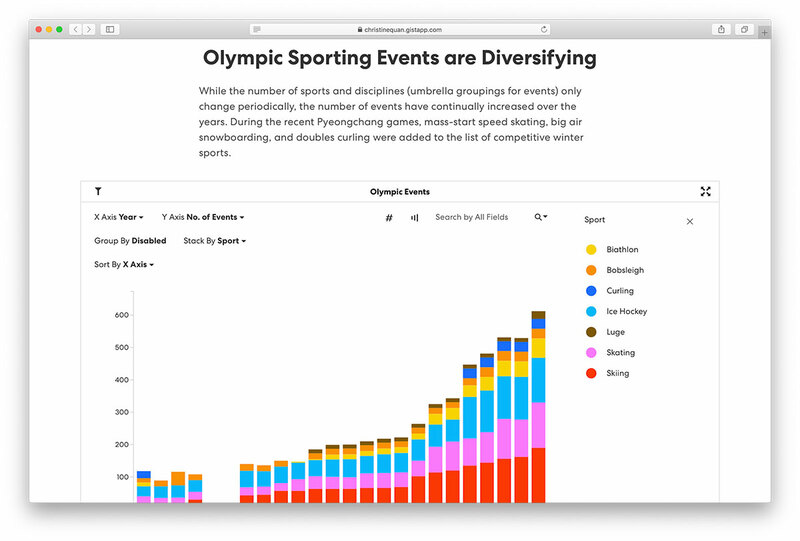 Embed multiple visualizations and views to tell a story and help readers understand what the takeaways are. 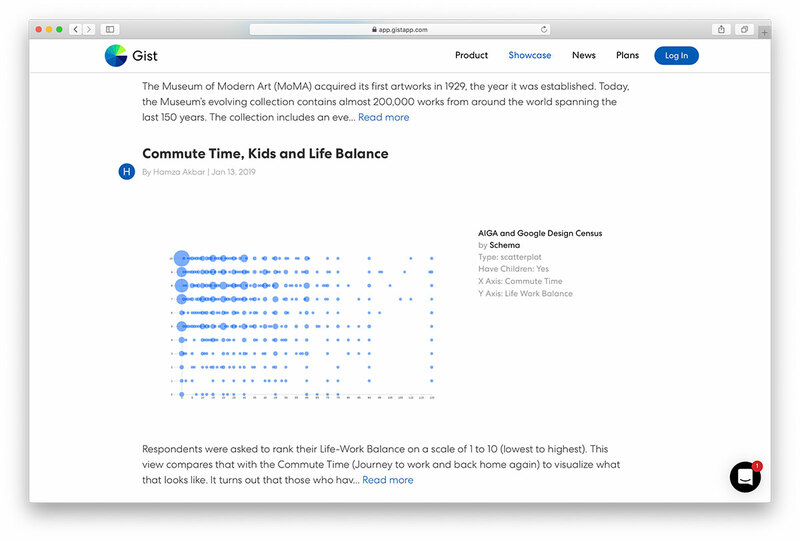 Create insights from data and drive traffic back into your Gist visualizations. 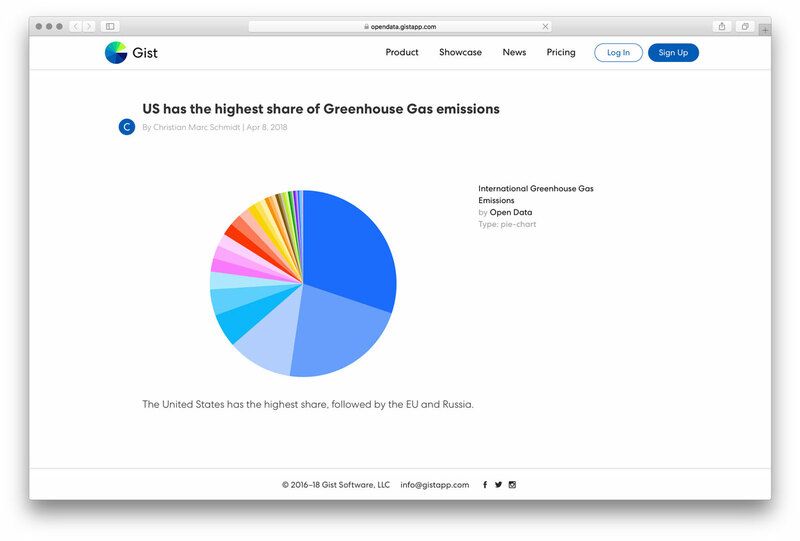 Explore Gist plans for your organization.